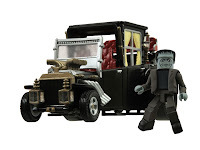 Minimate fans get ready, a bunch of pretty awesome new 'mate vehicles are on the way for Star Trek, Knight Rider, The Munsters, and... Santa Claus? I was gonna say, I really need to pick one of those Enterprise/Kirk sets- but then I saw KITT... and now I just think they all might need to be sitting on my desk before the year is out. If you're looking for KITT by the way, he and Michael can be found at Toys R Us stores right this very minute (or sometime soon). The rest of these packs will be heading to either TRU's or comic shops before the year is out. Star Trek Minimates return! 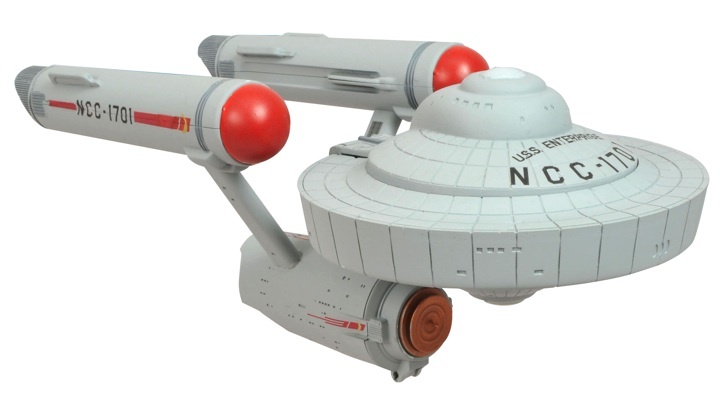 After a long absence, DST is bringing back Trek 'Mates with their most spectacular Minimates vehicle yet -- the starship Enterprise! 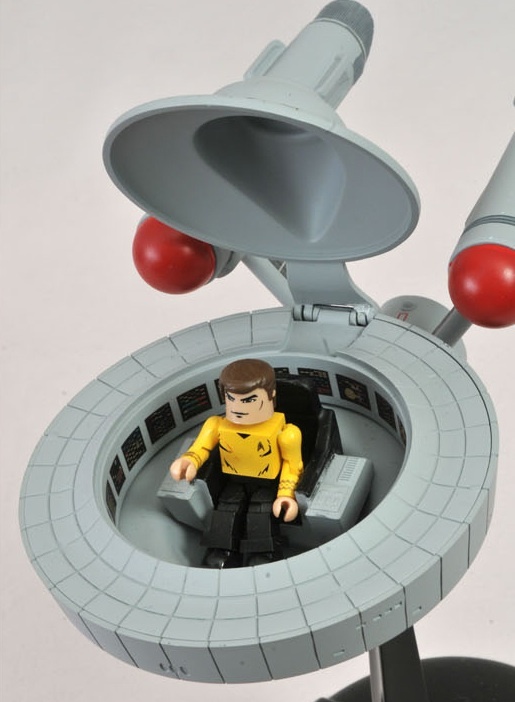 With an opening bridge dome and a hidden Jeffries tube in the engineering section, the ship measures 10 inches long and includes an exclusive Minimate of Captain Kirk. Exclusively available at comic shops and specialty stores through the Previews catalog. Santa's Pirate Ship Minimate VehicleChristmas is coming, but it's not coming in a sleigh pulled by eight reindeer. No, this year Santa Claus is on a boat! 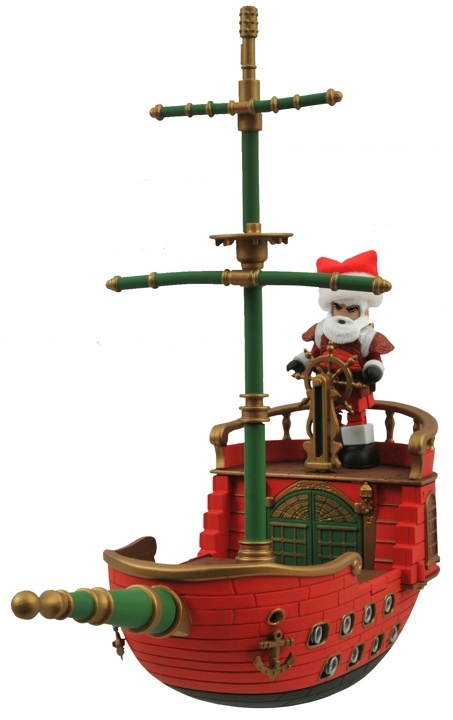 DST's 2-inch Minimates mini-figure of ol' Saint Nick comes with his festively painted pirate ship, which is packed with opening hatches, extending planks and removable sails (not shown). It's the perfect stocking stuffer for the Minimates fan in your life, or for anyone who likes boats and Christmas. Exclusively available at comic shops and specialty stores! The Munsters are going Mini! 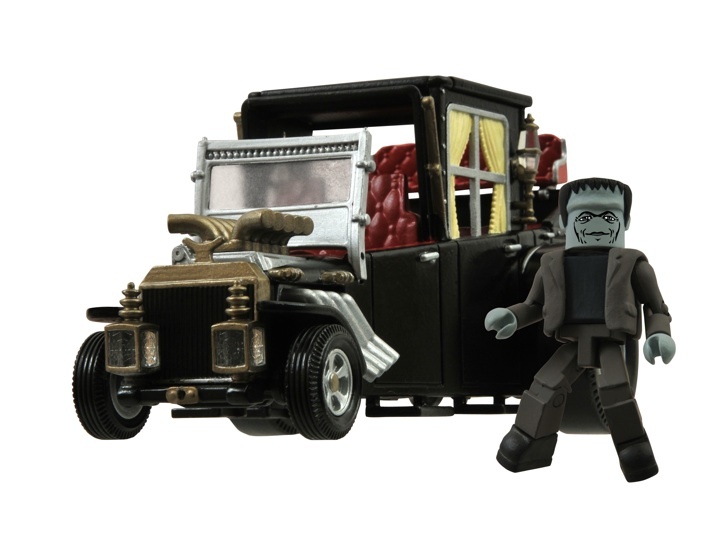 The next Minimates Vehicles will be the first-ever Munsters Minimates vehicle, the Munsters Koach! 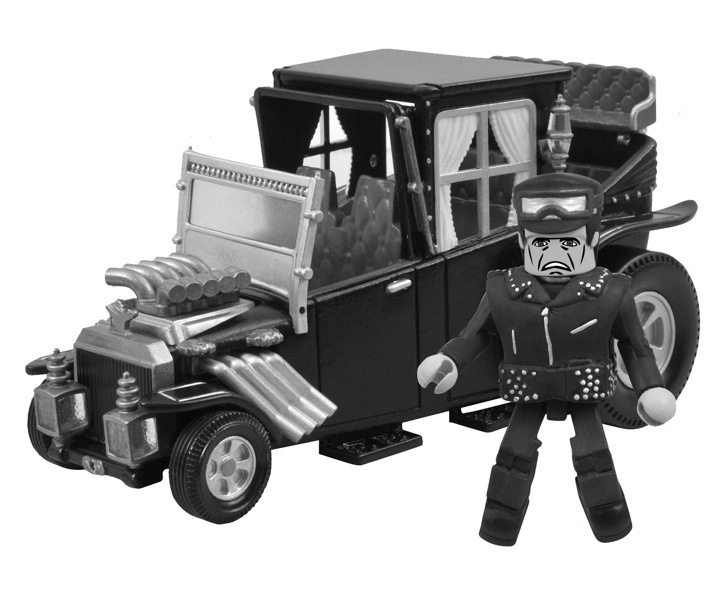 While Toys "R" Us has a kolor Koach with the standard Herman Minimate, comic shops and specialty stores will get an exclusive black-and-white version, with an exclusive Minimate of Herman Munster in his racing outfit! 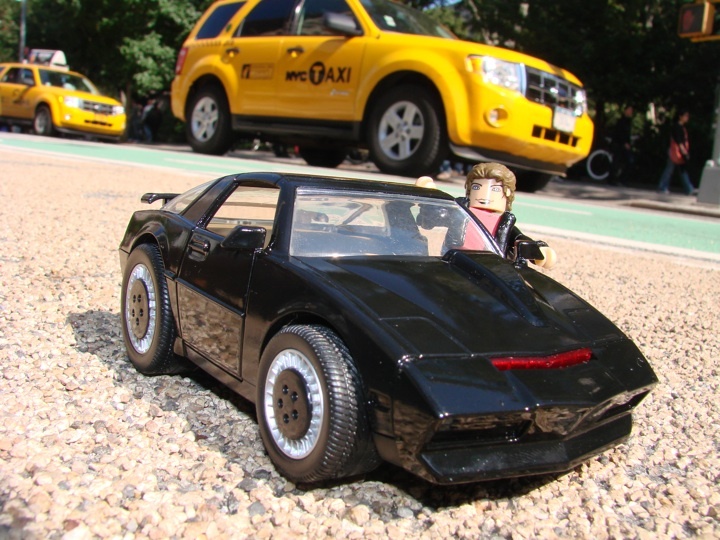 The Koach can accommodate multiple 2-inch Minimate figures, and is packed on a blister card.